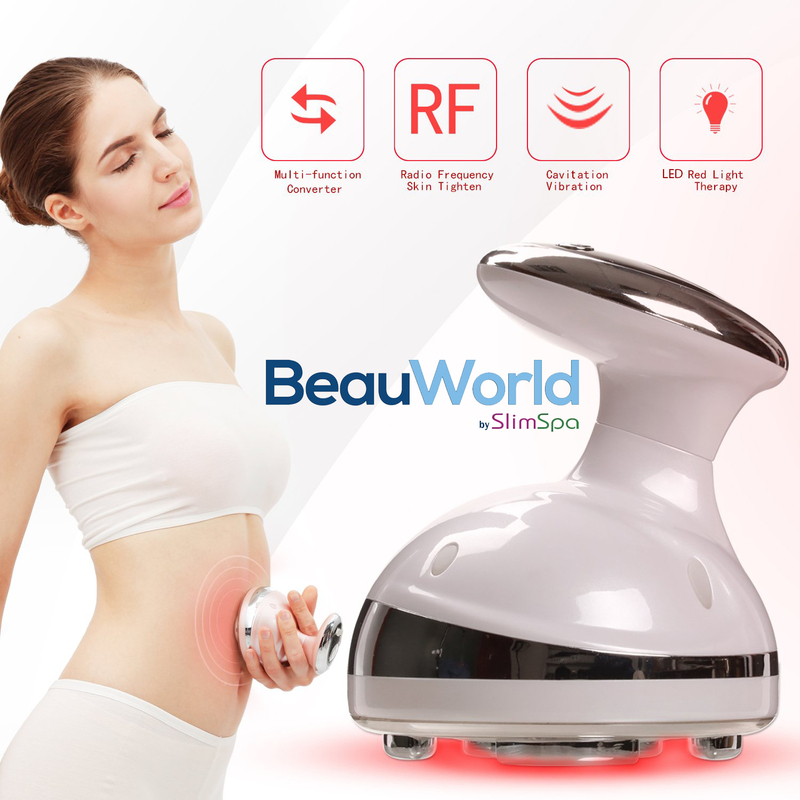 Portable Shaping Massager Rechargeable Frequency Shaping Equipment with Ultrasonic RF System to Shape Your Legs Arms Lower Abdomen. 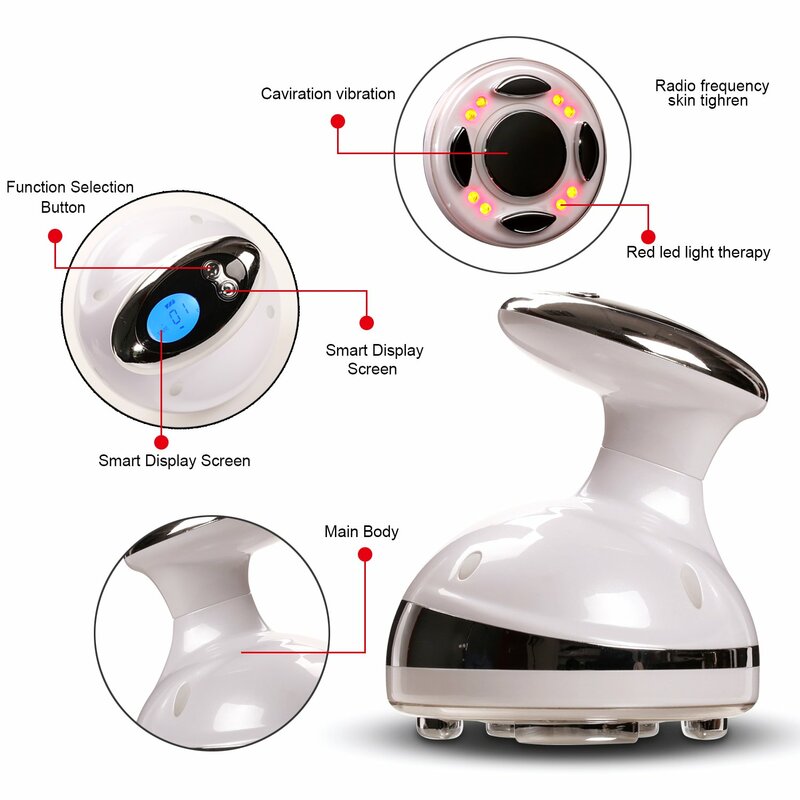 Ultrasonic high frequency vibration, instantly wake up the inside skin cells, improve cell metabolism, promote fat block decomposition, dredge lymph nodes. Powerful RF shaping function, heat effect on the dermal layer of the skin, and enhance fat-burning. Wavelength 625nm energy red light with high purity, powerful photosynthetic energy and uniform energy density characteristics, activate skin cells, promote cell metabolism. 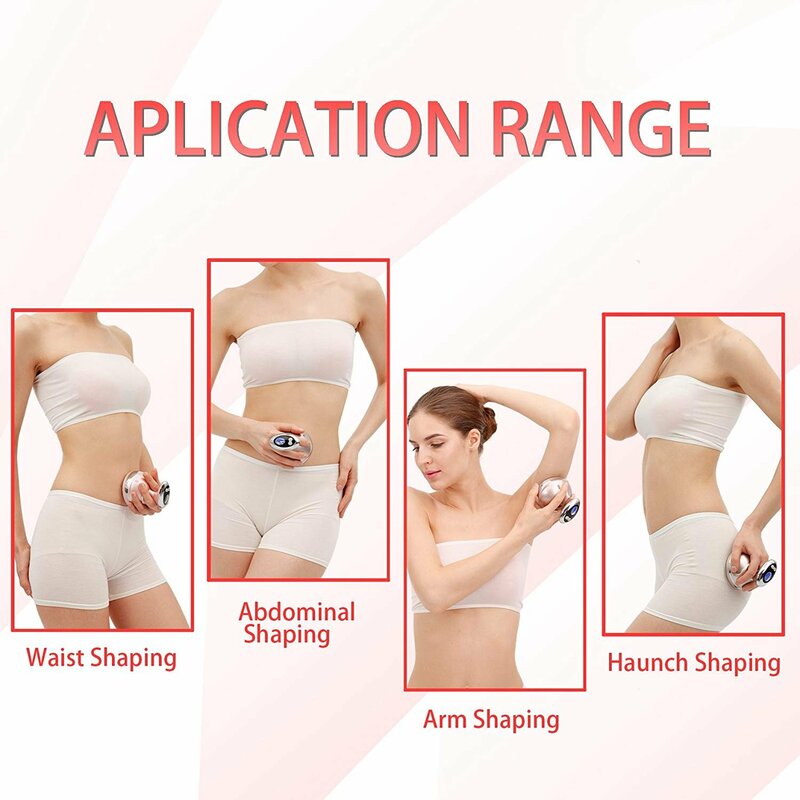 Mechanical vibration to make collagen fiber contraction, accelerate the rate of fat decomposition, effective reduction of stubborn fat. Unique zinc alloy massage head, feel extraordinary, equipped with LCD HD smart display, easy to operate mode. With user-friendly design, sophisticated internal structure and perfect light extravagant appearance, take the ultimate fitness experience for you. USB charge, use lasting, more energy efficient and environmentally friendly. 625nm wavelength Red light has a great deal on skin care. It speed up cell's metabolism, increase the amount of collagen and make the skin smoother. Suitable for all kind of skin. 1.Don’t use this for following body parts: face, neck, clavicle parts, and elbow, and wrist, joint parts of body, knee, ankle, hindbrain, cervical vertebra and foot. 2. Suggest use 10 minutes for each body parts and it will turn off automatically after 10 minutes. 3. it’s better to use the item after taking bath and putting conductive gels or cream on the body parts. 4. Apply slimming cream/oil/gel on the required thin parts (waist, thighs, arms, etc) and spread evenly. 5.Press ON/OFF button, select the appropriate mode, energy massage head touch the skin to work. 6.Hold the handle tightly, uniform press massaging the required thin parts from down to up with circle way, repeat2-3 times.